Kids Intervention with Kids in School (KIKS) is a school based youth development and primary prevention program. KIKS utilizes peer leaders as positive role models for groups of pre-adolescents. The KIKS model focuses on the “root causes” of self-destructive adolescent behaviors and works with young people to build confidence, communication, decision making and appropriate conflict resolution skills. KIKS helps students develop and enhance “life skills” so that their adolescent experiences can be more positive, productive and peaceful. Students practice these skills throughout the school year to help themselves and their peers prevent high-risk behaviors. The 21st Century Community Learning Centers (21stCCLC) – Positive Impact Program is a federally funded after school program operated by CHSofNJ in collaboration with Trenton Public Schools. 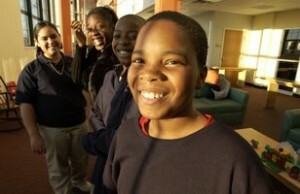 The program operates everyday that school is in full session, is free of charge and welcomes students to enroll regardless of their level of academic ability, English proficiency or behavioral needs at two Trenton public school sites: Grace A. Dunn Middle School and Joyce Kilmer Middle School. Jacques d’Amboise, legendary New York City Ballet dancer, founded National Dance Institute in 1976 in the belief that arts have a unique power to engage children and motivate them towards excellence. 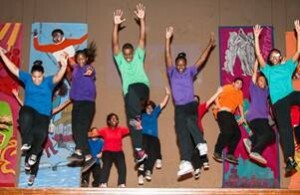 NDI has become one of the nation’s most prestigious arts-in-education organizations. The goal of the program is not to train professional dancers but to teach young people that through hard work, rigor, discipline and joy, children can overcome personal challenges and discover their greatest potential.